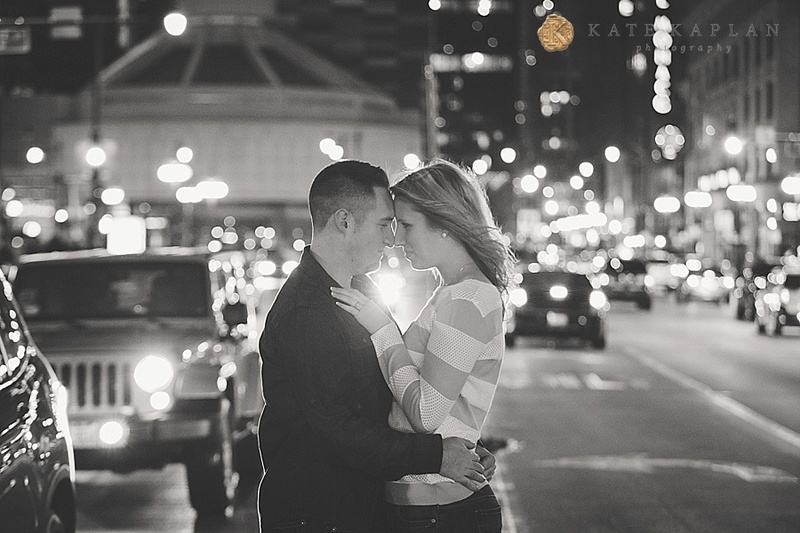 Kevin & Jenny | Engaged! I had to blog a few favorites from this engagement session before Trevor and I jump on a plane to Idaho! We're going to visit his mom and I am so looking forward to some relaxing time with them. Any advice on the best Idaho has to offer, please share it! 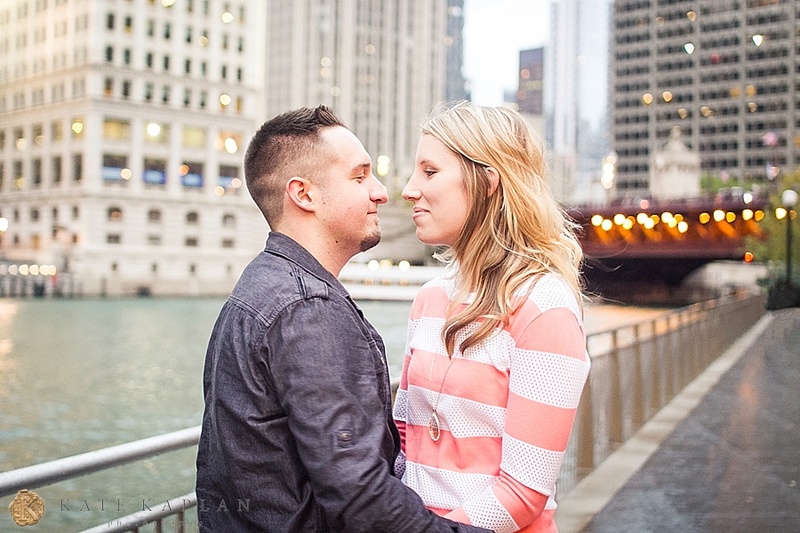 So... Kevin and Jenny came back to sweet home Chicago from Wisconsin for their engagement session a couple weeks ago! We weren't blessed with the best weather. Jenny and I both had been pleased to see 0% chance of rain in the forecast, and then were very disappointed when it did in fact begin to rain on our parade! Dear weathermen, why do you always seem to get it wrong? BUT these two made the best of it and rocked their session anyway! Luckily the rain gave us a break at some point. Kevin and Jenny are so natural with each other! It was so much fun shooting by the Chicago Riverwalk and seeing all the pretty lights come on at that magical time of day. I can't wait for Kevin and Jenny's wedding next October at the Milwaukee County War Memorial Center!